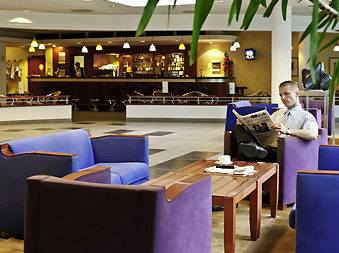 Set on the road leading from the airport to the center of Warsaw, the Novotel Warszawa Airport offers an ideal stay in comfortable rooms and elegant interiors for both business and leisure travelers. 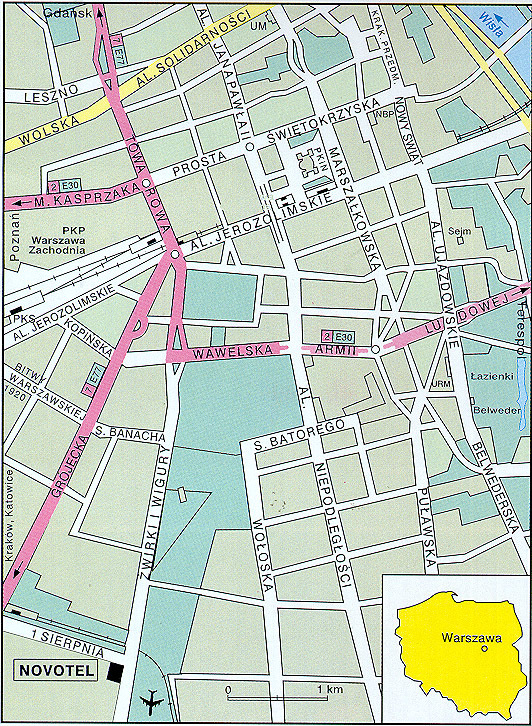 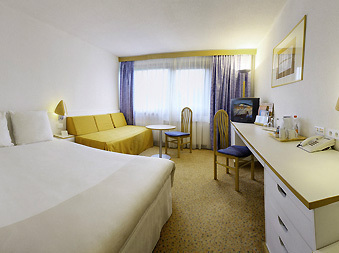 The hotel is easily reached by public transport from the Central Railway Station. 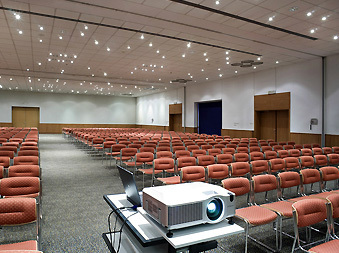 In the quiet are far from traffic of the downtown Warsaw, guests will find large commercial and entertainment center and modern business center. 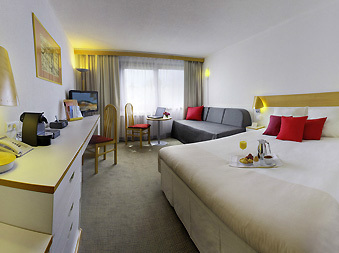 The Novotel Warszawa Airport features 278 air-conditioned single, double, and triple occupancy rooms with bath and such facilities as radio, satellite TV, Internet access and telephone. 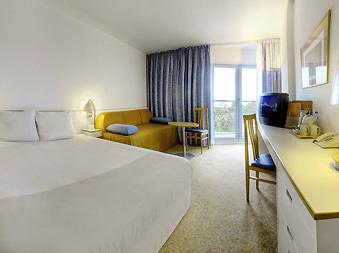 There are also special rooms for the disabled and non-smoking guests as well as possibility to link rooms together. 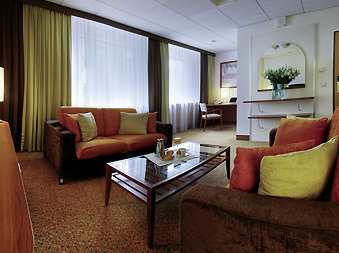 For the guests disposal are: a car park, a restaurant, a cocktail bar, an outdoor swimming pool in a garden. 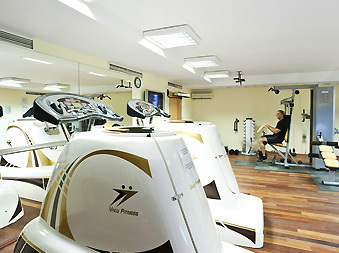 Guests can enjoy a fitness center, sauna and Jacuzzi (included in room prices) and massage service (additional fee). 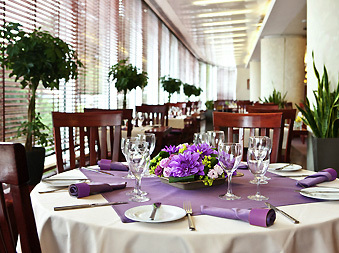 Guests will dine in an elegant restaurant with air conditioning and non smoking area, serving delicious Polish, French and international cuisine and choice of wines that every connoisseur will enjoy. 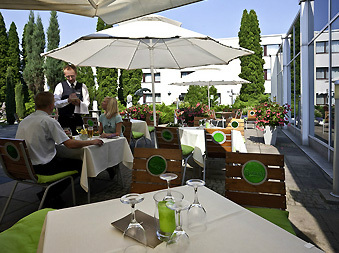 The hotel offers special Menu Dolfi for children. 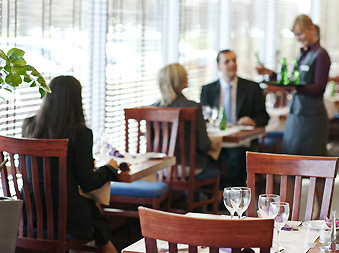 Also a breakfast for early risers is available. 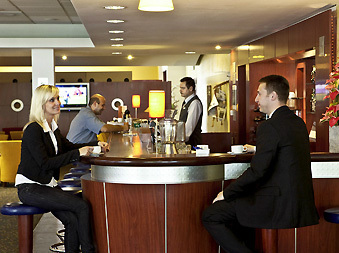 The hotel accepts the following credit cards: American Express, Dinners Club, EuroCard, JBC, MasterCard, VISA and Polcard. 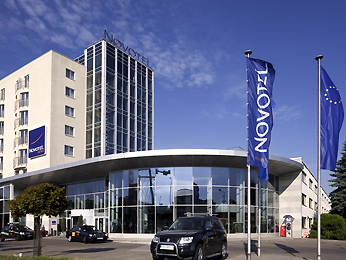 The Novotel Warszawa Airport is located close to big business centers, where the biggest polish and international companies are seated, and to a "Galeria Mokotów", that is a very popular shopping mall and entertainment center.